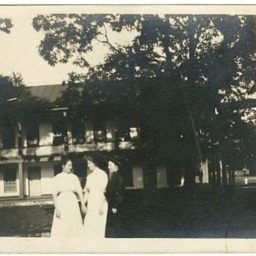 Postcard showing two women in front of a building at the Orkney Springs Hotel located in Orkney Springs Virginia. 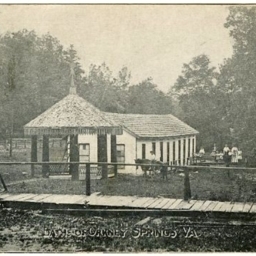 Postcard showing the bath house at Orkney Springs Virginia. 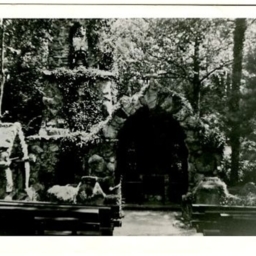 Postcard showing the "Cathedral Shrine of the Transfiguration" located at the Shrine Mont resort in Orkney Springs Virginia.